I don’t have time to write a second decent post after all, so I’ll give you this not-new-but-still-awesome video instead. So much for writing anything during the week. Some 3rd grade (i.e. 9th grade) students are applying to a high school that has special international courses, and I stayed late after class this week to help them prepare for the English interview that they’ll have to take. I’ll be doing the same thing next week, but I’ll try to make two posts this weekend. I really do need to get caught up. Picking up from where I left off . . . The last picture of my previous post was taken from across the valley, to the northwest of my apartment. The view is a little deceptive, as you can’t see the actual valley between the houses and the apartment buildings, but it’s there. 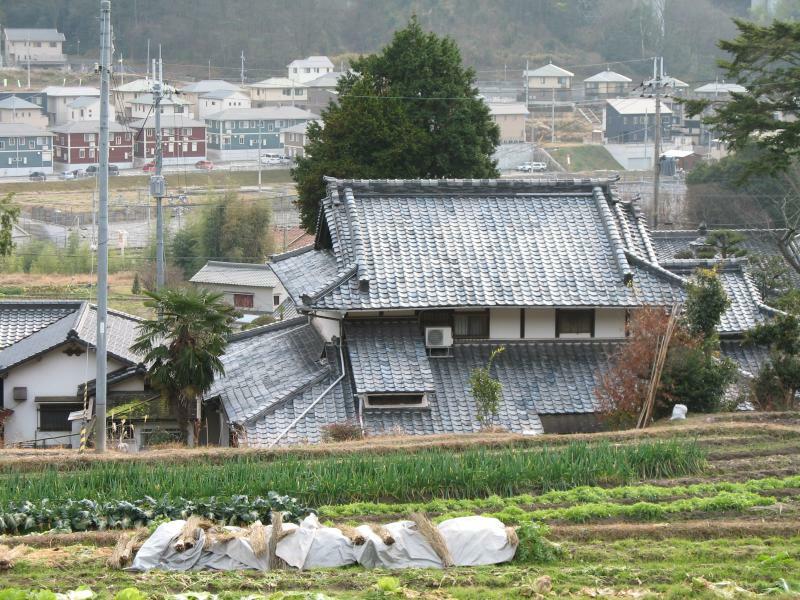 Agriculture is a heavily protected industry in Japan, so some small farmers do quite well. 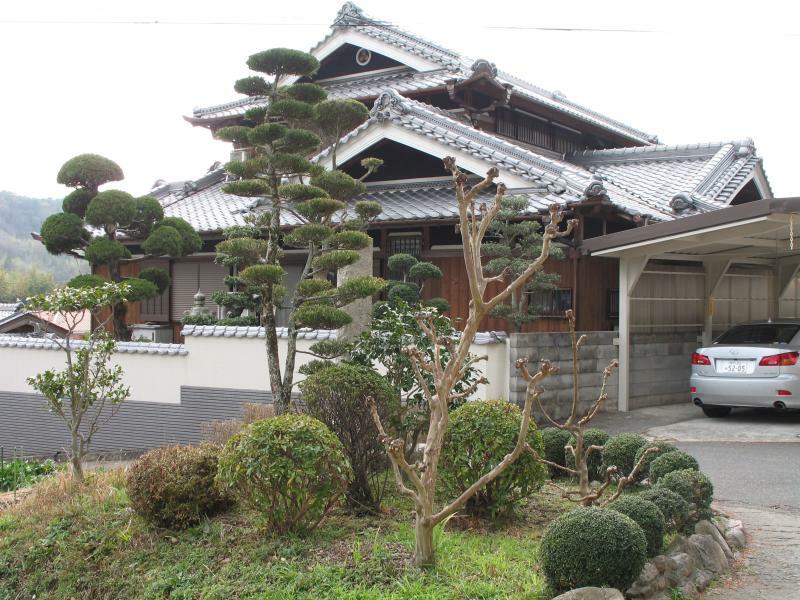 There is a Buddhist temple in the area. 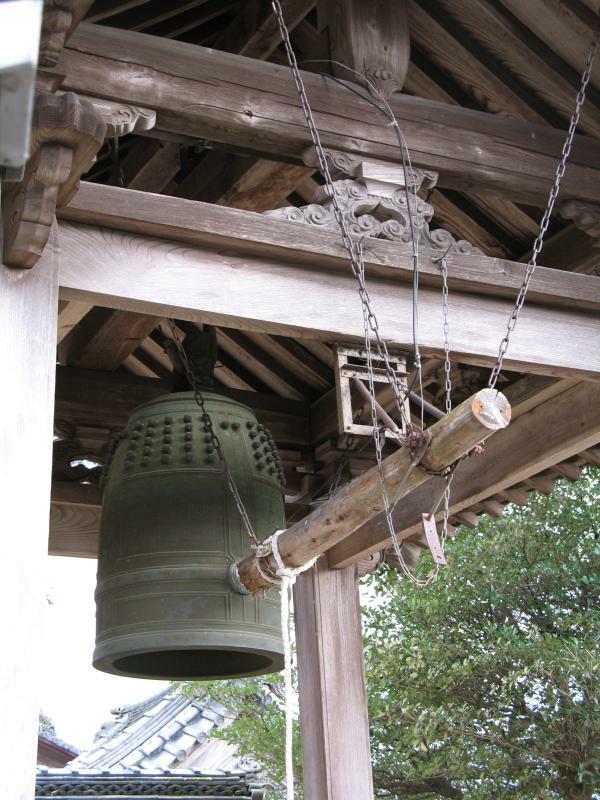 It has a mechanical bell-ringer, although it looks broken. I don’t know which branch of Buddhism the temple belongs to, but I’m pretty sure it’s not Zen. Having an auto-bell would just be too lazy. 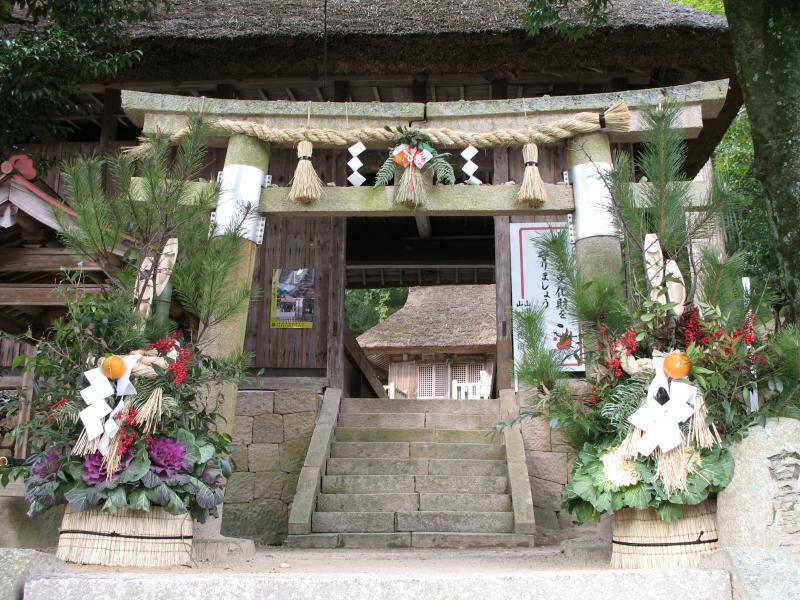 There is also a Shinto shrine. The arrangements of pine, bamboo, and mandarin bitter oranges are traditional New Year’s decorations. Well, it’s time to make dinner. I’ll write more later. Edit: Apparently, bitter oranges are used, not mandarins, although mandarins are common substitutes when the real thing is unavailable. You are currently browsing the Erratic Dispatches blog archives for February, 2007.